Remark In April 2015 I started to revise the layout of this website. The pages mostly had the old layout from when I started in 2003. The Siku pages were some of the first I created so in the pages of individual aircraft linked below you will find a mix of older layouts. Siku also has the most subpages and it will therefore take some time to complete this task. Most photos still are from the sellers or from my old website. English Electric Lightning Royal Air Force F 30 a ? F 16 c 2) 1959 ? Radar Picket Radarflugzeug (U.S. Air Force ) F 32 ? Lokheed U-2 NASA F 28 a ? McDonnell F-4H-1 Phantom U.S. Navy F 35 ? Mig-21 Sowiet Air Force F 33 ? Saab 35 A Draken Swedish Air Force F 34 ? Turbinen Kranhubschrauber No markings. F 29 ? 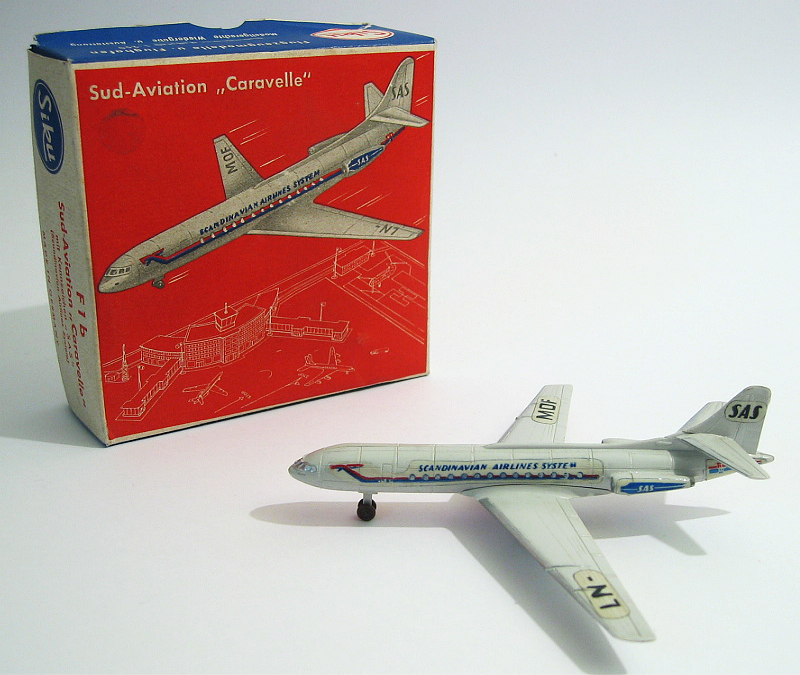 Su = according to Catalogue ´59 "available in summer"
2 ) Supposedly announced in catalogue ´59 as KLM , issued as Aer Lingus in 1960 ? 3) Order No. in orange denotes model is not in my collection.